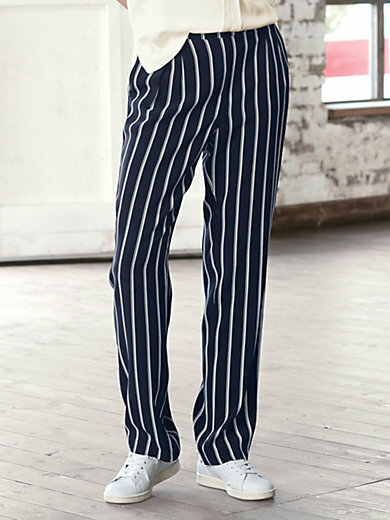 Trousers by LOOXENT in pull-on style with elasticated waistband at the back. Cool and trendy with contrasting vertical stripes in beautifully flowing woven fabric made of 100% viscose. With 2 slanted slash pockets. Inside leg length approx. 32ins. Ankle width approx. 15ins. The trousers are machine washable.